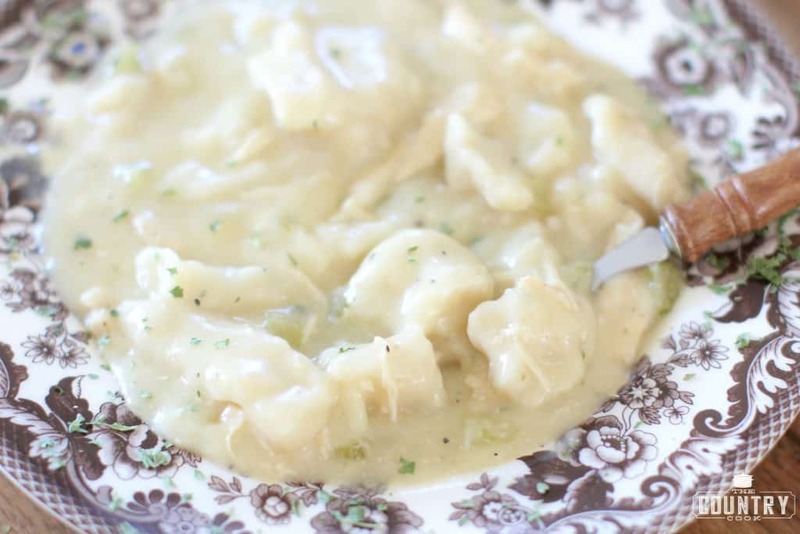 In my mind, there really is nothing more comforting than a big bowl of chicken and dumplings. 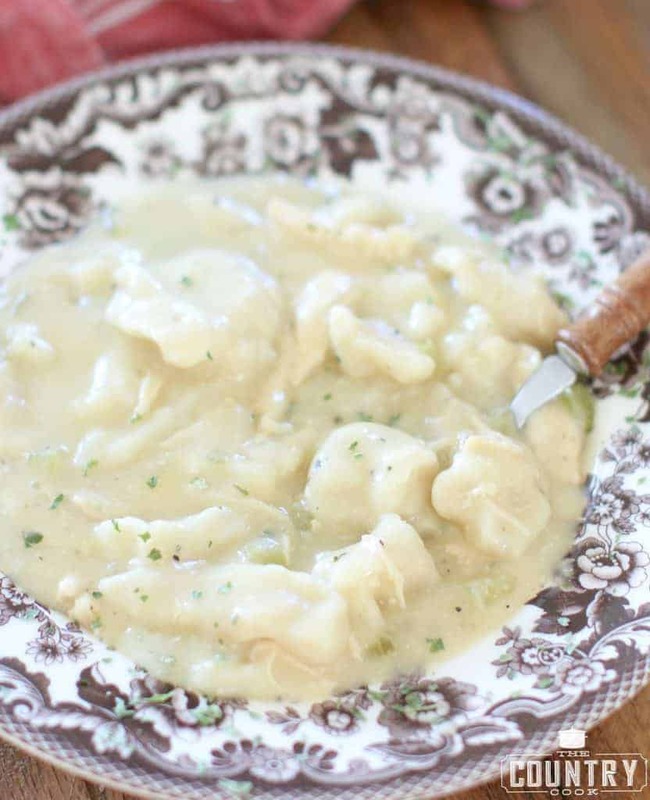 Honestly, any version of chicken and dumplings is totally fine with me. I love it all. 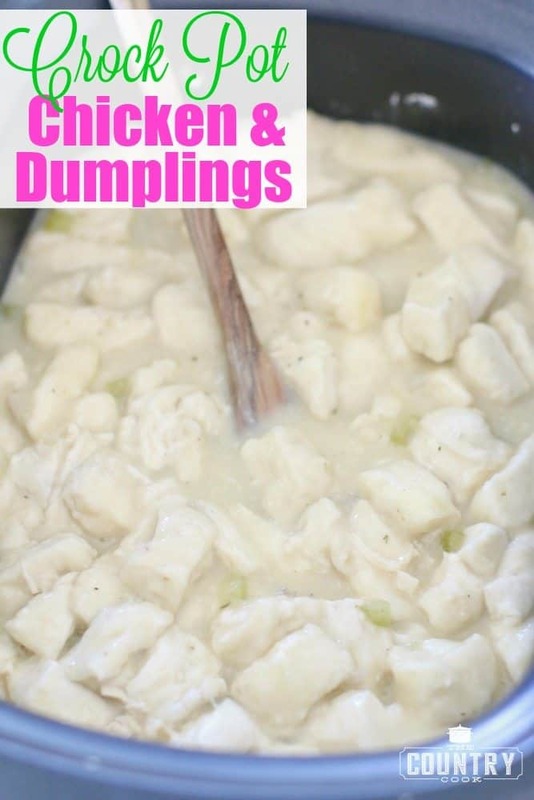 I love the old-fashioned flat dumplings in a thick broth, I love the big, fluffy dumpling balls in a thinner broth and I love the dumplings made with canned biscuits that are thick and heavy in a super thick broth. It is all good to me! 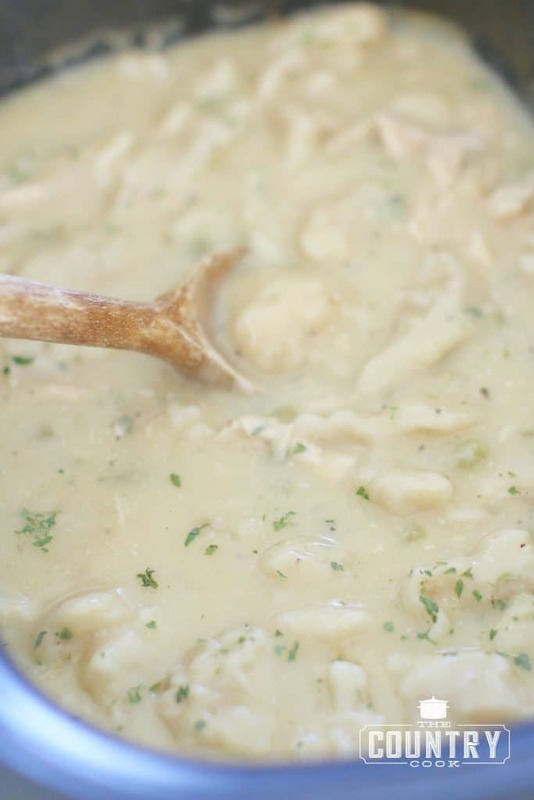 I always have folks ask me for a good crock pot version of chicken and dumplings. I actually had never really thought about it because we always just made them on a stove top. So I set about figuring the best way to do this. 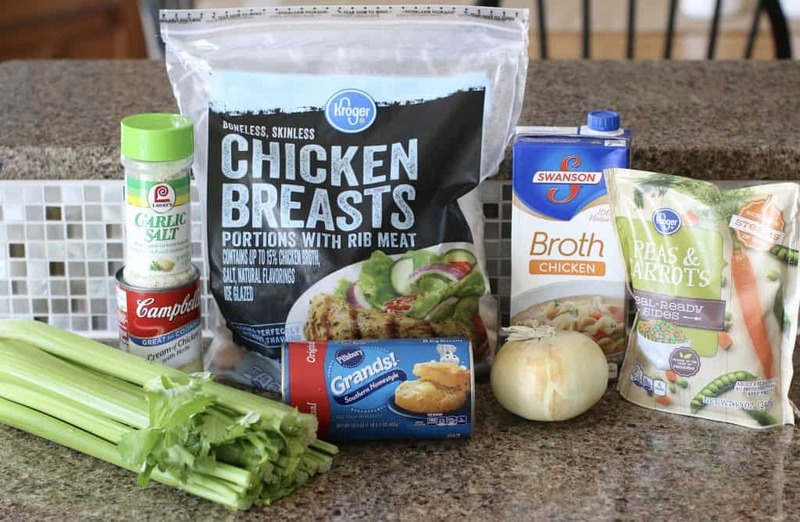 And it worked out great because I was able to use frozen chicken breasts (which are much cheaper than their fresh counterparts – but still just as yummy) and they have time to get infused with amazing flavor. I decided I wanted to have a thicker broth so I used a quick trick with canned biscuits to make that happen. We really, really loved this version! 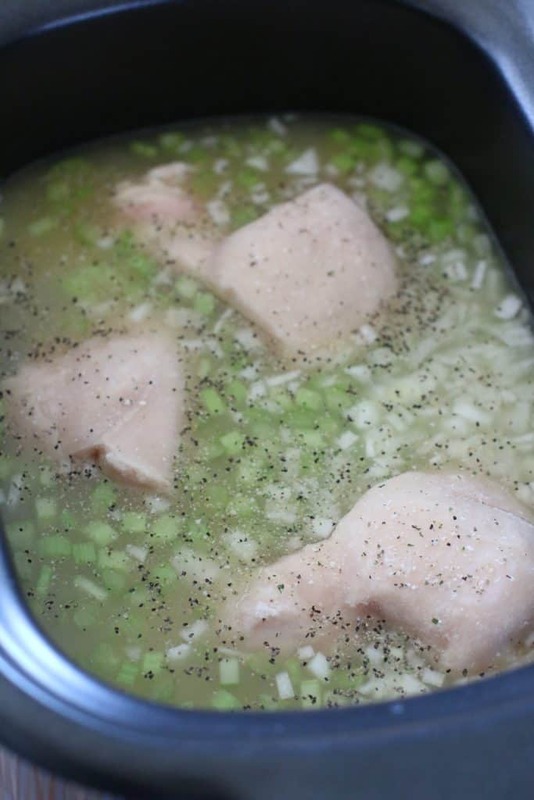 Add frozen chicken breasts into crock pot and season with a little salt and pepper. Then take the chicken out and cut it into bite size pieces or shred it with a couple of forks. Put the chicken back into the slow cooker. 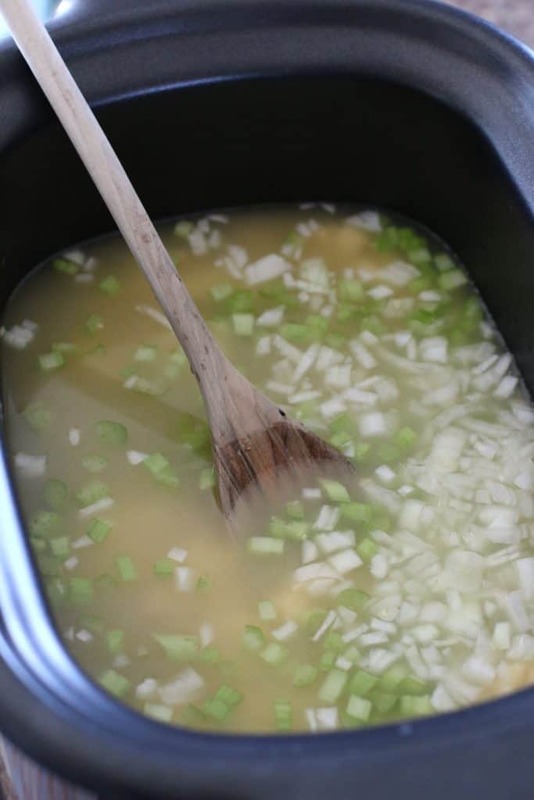 Add frozen vegetables into the slow cooker if you are using. Take the biscuits and flatten each one with the palm of your hand. 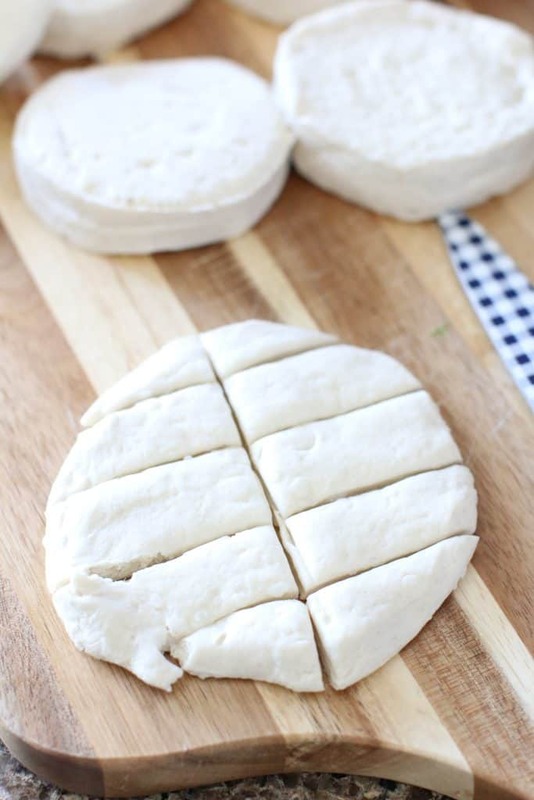 Then cut the biscuits into strips then cut down the center. Put flour into a bowl and place slices of biscuits into the flour and toss them to coat well with the flour. Cover and cook on high for about 1 to 1 1/2 hours. Carefully take a dumpling out and check to make sure it is cooked through. If not, continue to cook until done. Give it all a gentle stir. Sprinkle with some dried parsley (optional.) Then serve! Cook’s Notes: You can use fresh chicken breasts in this dish. 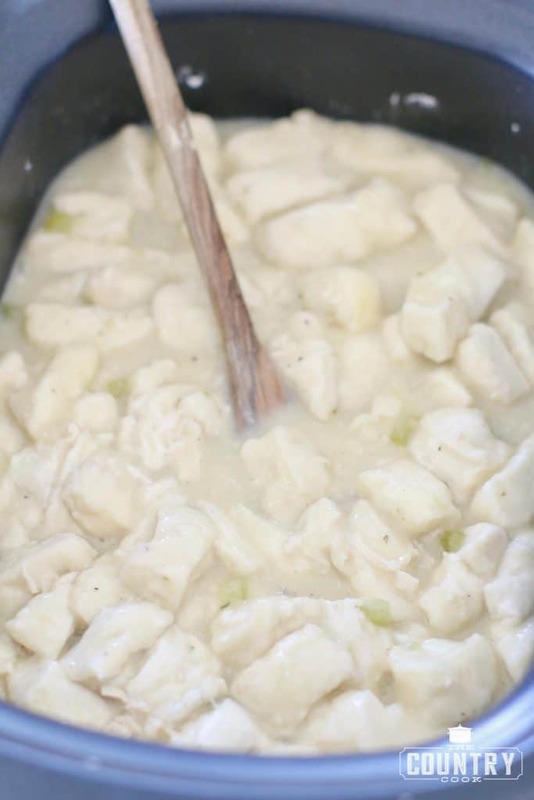 Crock Pot Chicken and Dumplings is a super easy recipe that uses chicken stock, frozen chicken breasts, cream of chicken and refrigerated biscuits. So good! 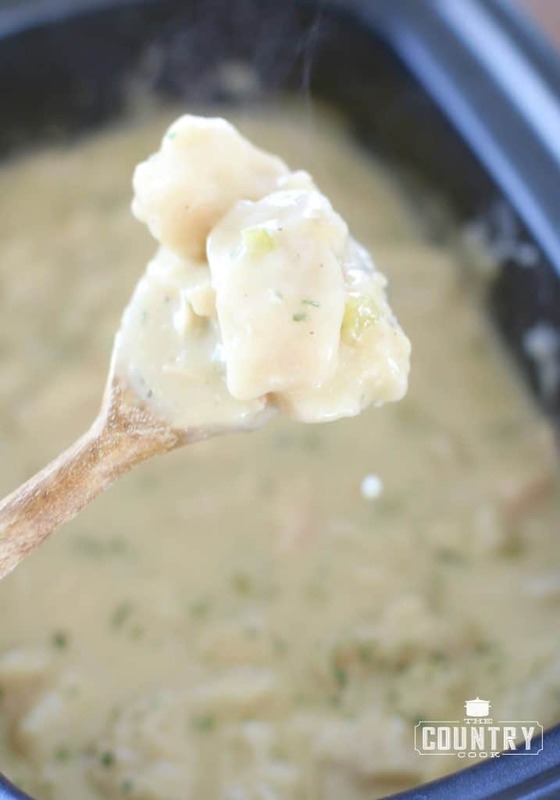 Add frozen chicken breasts into crock pot and season with garlic salt and pepper. 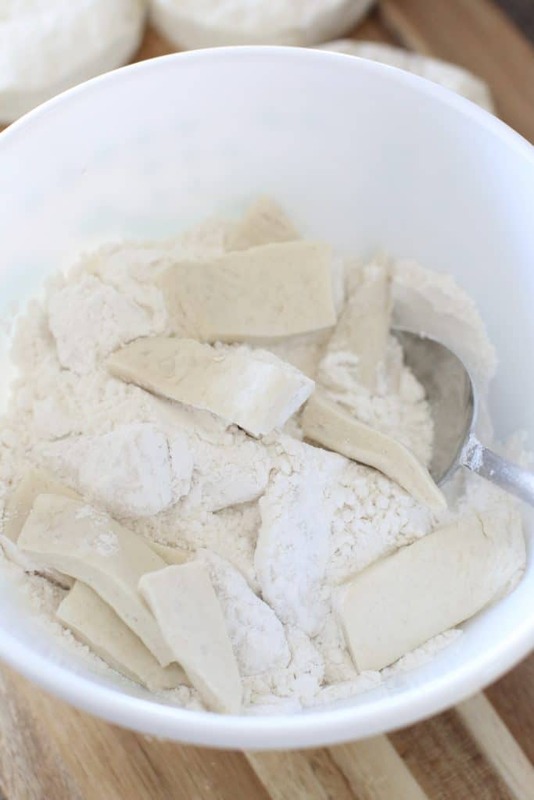 Put 1/2 cup flour into a bowl and place slices of biscuits into the flour and toss them to coat well with the flour. Fresh chicken breasts can be used as well. 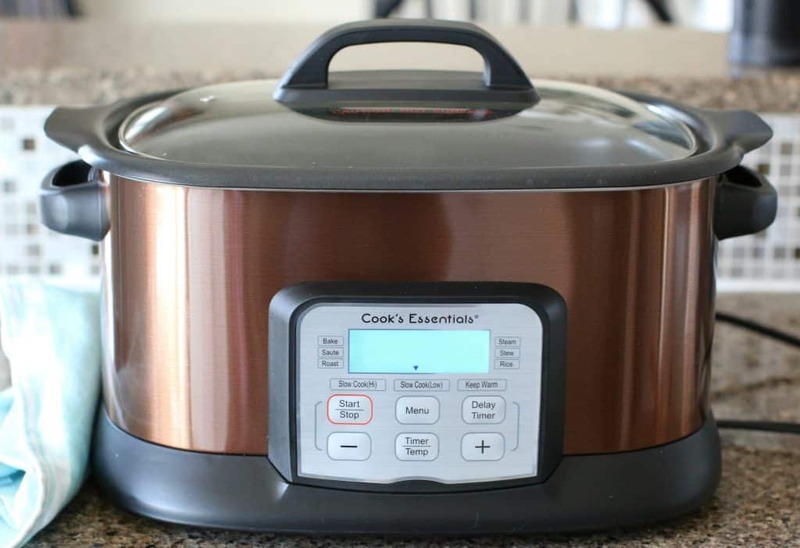 Be sure to check out these other favorite crock pot recipes! Wow, some of the comments are just mystifying to me. The recipe was clear and concise I had no problem following it as written. The finished product was oh so good. Some people (like me) are very uncomfortable in the kitchen. They second guess themselves and just need that extra ‘you got this!’. They may just want to prepare a nice meal for their family and not make a silly mistake. Kuddos to finding a way to bully on a recipe blog though. That is no easy feat. This was absolutely delicious! I had an issue where my dumplings formed a blob on top, but it is because I used a smaller/round crockpot. However, my husband being the chef that he is, just had me add water to loosen it up. Voila! Delicious… and my Southern baby has asked for seconds… something that never happens when I use frozen pastry noodles for chicken and pastry. Thanks for a fantastic and easy recipe! My husband is on a special diet so I’m making this without the dumplings (much to my dismay!) 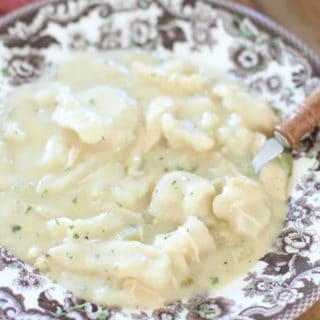 Is there a way to thicken up the sauce since I’m not adding dumplings? I made this today for dinner. It was so good. Just next time I will use less salt and pepper and maybe regular dumplings instead of biscuits. Super easy recipe. Turned out amazing! Once you take the chicken out and shred it, could you cook the biscuits for the 1.5 hrs then stir the chicken back in after they cook? I feel the chicken would way over cook that last 1.5 hrs. 2 questions. 1. 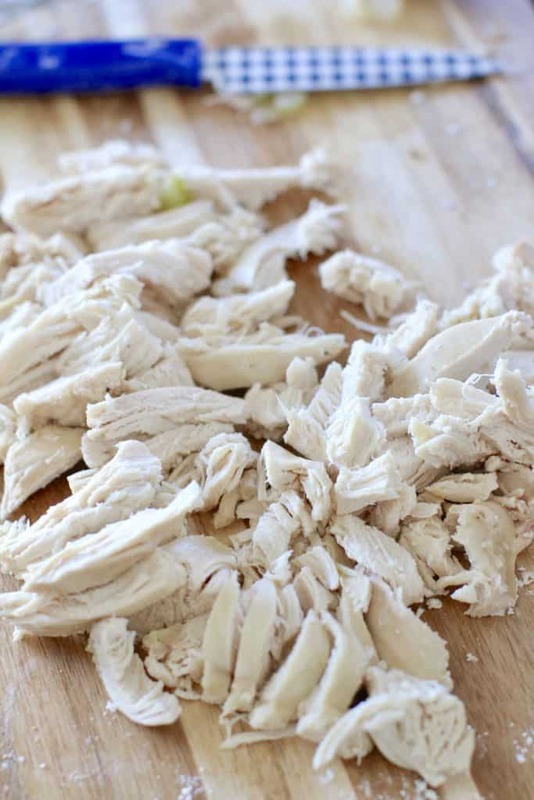 How much do you suggest reducing cooking time for 1.5 lbs of thinly sliced, fresh chicken breasts . 2. I am afraid of overcooking chicken. Can we take the chicken out when cooked, shred and then put back AFTER the biscuits cook for the 1 to 1.5 hrs? I used low sodium cream of chicken and cream of celery soup, and garlic powder to lower the sodium, as I can’t have much sodium. I cut back the onion and celery to 1/2 cup each, and added 1/2 cup of diced mushrooms along with the frozen peas and carrots. I used fresh chicken breasts, and Grands biscuits, adding 20 minutes cooking time. Everything came out as planned, even with my changes.